This bold and typically unconventional washroom is both contemporary and impressive. 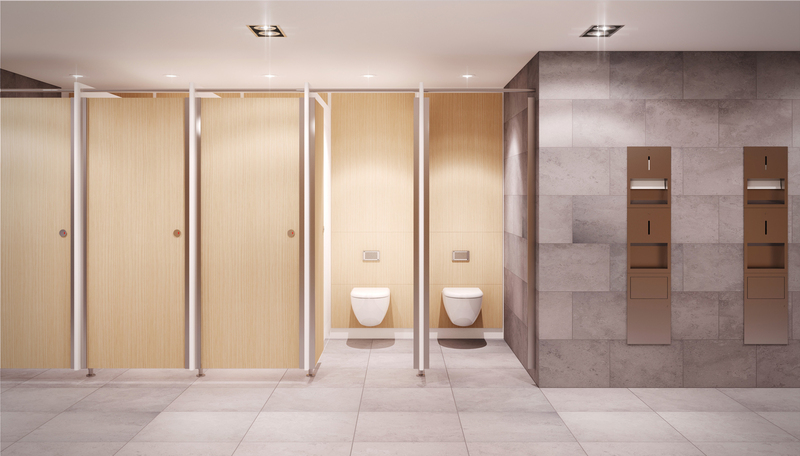 Using slimline stainless steel pilasters with an increased door and partition thickness creates a dynamic looking cubicle which is suitable for both wet and dry environments. These partitions are 30mm thick and extend past the line of the cubicle pilasters and the leading edge is fully radius to a full bullnose. This washroom range can also be manufactured to sit in humid environments by using a 13mm thick solid grade laminate.